From the brilliance of new Foil Pressed Cards to the classic feel of old favorites, you have more holiday card options to offer your clients than ever before. With free overnight shipping and tons of stylish new designs in Designer Plus and Design Market, you can create knockout greeting cards with ease. 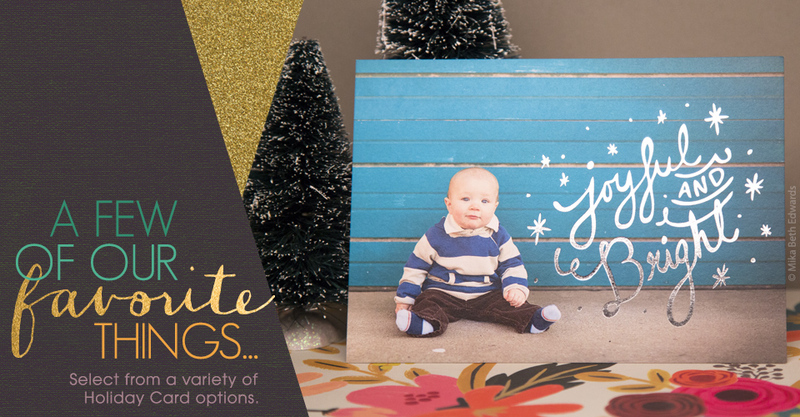 Give your clients a fun and unique holiday greeting card that stands out. The Luxe Pop Card features a perforated Circle or Ornate shaped ornament, ready to pop-out and hang on the tree right out of the envelope. Sometimes a flat card simply isn’t enough. If your customer is looking to share multiple photos with this year’s holiday greeting, the Folded Luxe Card is a must. Folded Luxe Cards are available on any of our ultra-thick papers and die-cut for an elegant display. A designers delight, Accordion Cards feature 6 or 10 fully customizable panels with loads of space for you to work your creative magic. You can even add rounded corners or add an adhesive hub for CDs or DVDs. Check out the rest of our stunning Press catalog and let us know which product is your favorite!